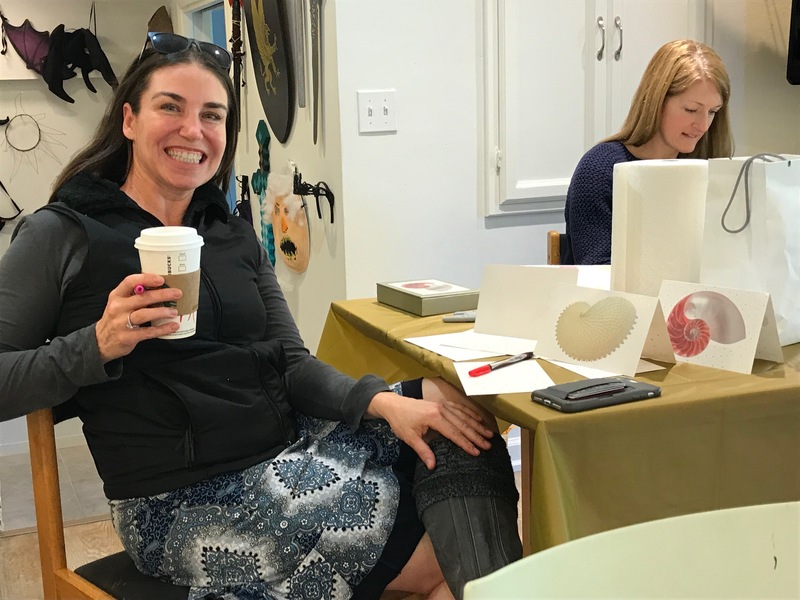 The Art Docents have had a fun filled start to the 2017 school year with range of fun Continuing Education events and activities for members to socialize, create and learn more about art. We’ve had great turnouts and hope to see more of you in the future. Remember members, keep checking the website for updated info and sign ups! 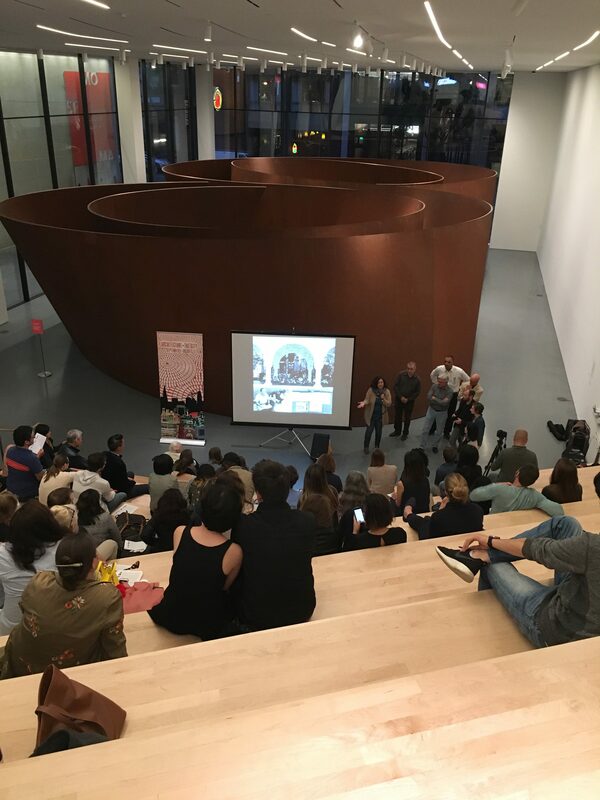 In September, one of our very own Art Docents, Jennifer Kretschmer, showed her iPad drawings at the SFMOMA. 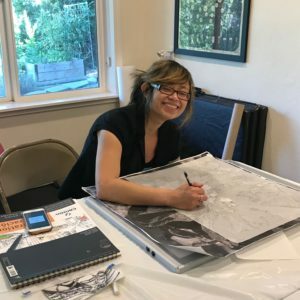 The event entitled “The Secret Sketchers” displayed the work of a group of active sketchers from the Bay Area. Through 20 seconds of 20 slides, each presenter fostered deeper thoughts and conversations about the opportunities we may miss in such a fast-moving metropolitan area. Luckily, for those of us who missed the show, she will show us her presentation at the November General Meeting. The Art Art Docents are experimenting with a new on-going event this year called “The Art Circle”. 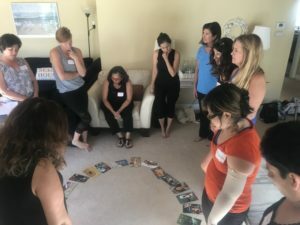 It’s a gathering of Docents focused on discussing art while working on our own personal creative projects within a supportive group setting. 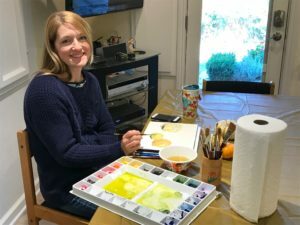 Current projects include watercolor, ink drawing, painting, crocheting & collage. We hope that more members join us in the future … you don’t have to be an formal artist, you just need to be willing to explore the creativity inside you! 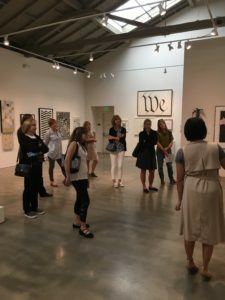 A group of Art Docents enjoyed a curator lead tour of the 37th Connect and Collect Art Auction Exhibition. This annual event featured more than 100 pieces by local, national and international artists. The Docents were treated to both an in depth examination on the processes and visions of the artists as well as insights of what goes into curating a exhibit of multiple artists. We ended the excursion with lunch, coffee and discussions at the San Jose SoFa Market. 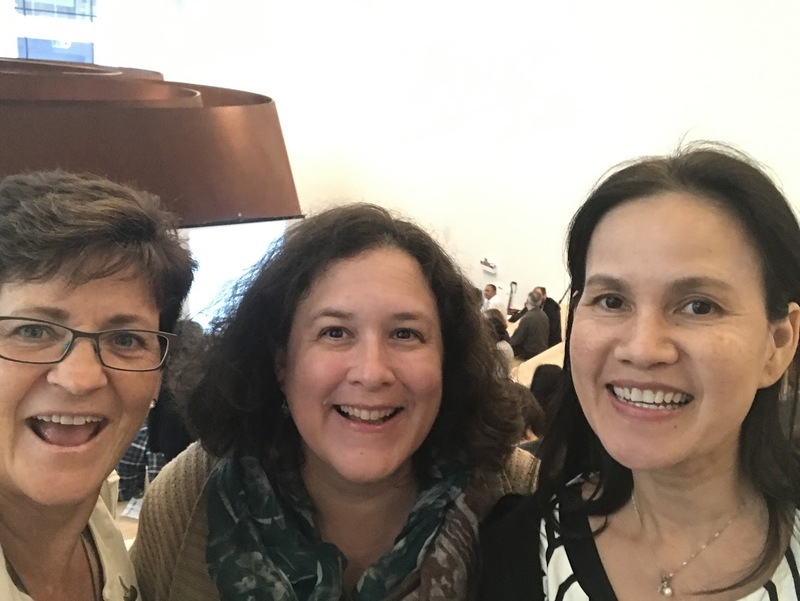 A group of Docents enjoyed an evening out in Palo Alto to view a film about the life of Vincent van Gogh entitled “Loving Vincent”. 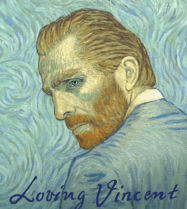 In a story depicted in oil painted animation, a young man comes to the last hometown of painter Vincent van Gogh to deliver the troubled artist’s final letter and ends up investigating his final days there. 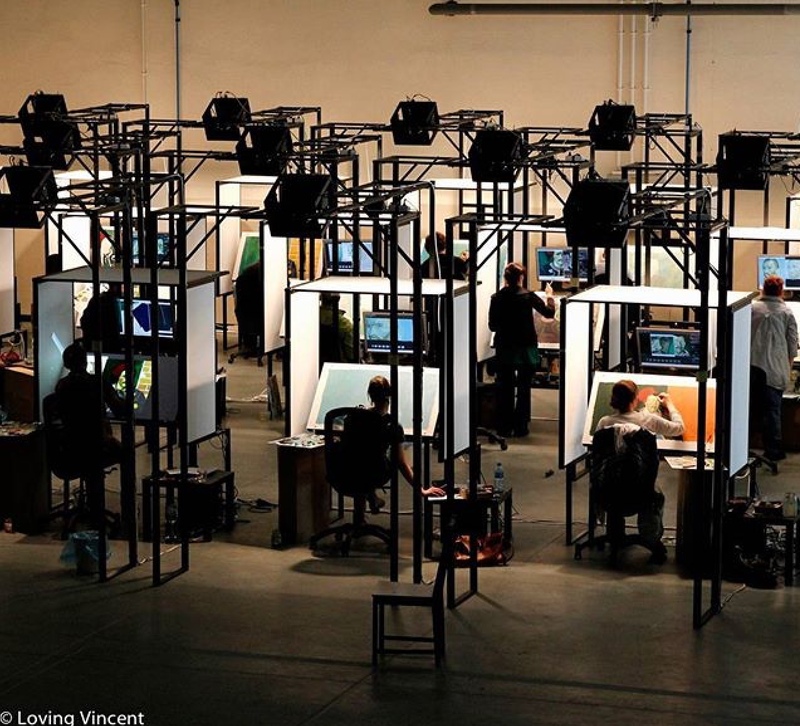 For a view of what n animated “painted movie” looks like: Loving Vincent Movie Trailer. 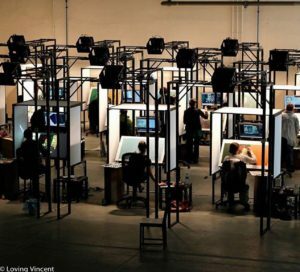 For more info on how the film was created: Painting Animation Work Stations. A fun day was had by all who attended Michelle Abene’s Beach Day. 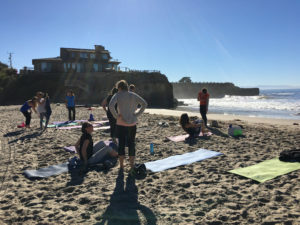 After an initial gathering and introductions, the large group headed down the beach for yoga and meditation lead by Roxana Kost. After a wonderful rejuvenating session, ending with a laughing circle in the surf, the group congregated back at the Beach House. 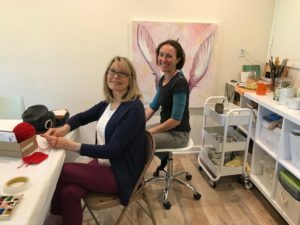 A mini Soul Collage class was taught by Jessica Richter. 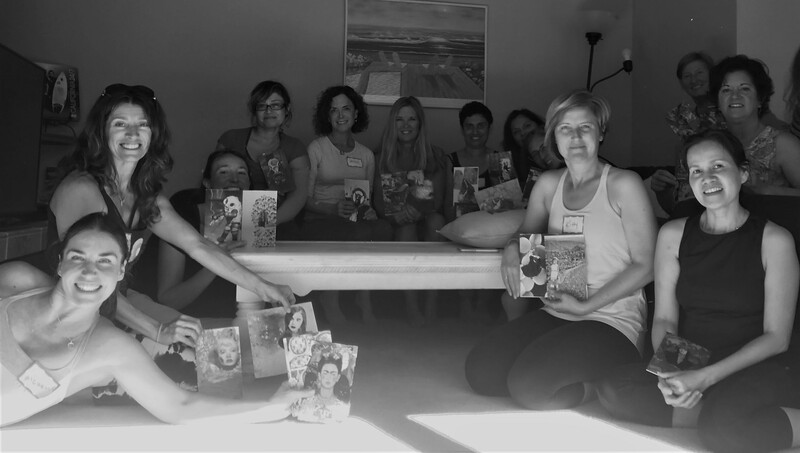 Docents intuitively explored their personalities through the medium of collage and paired off to journal their results. We all then enjoyed a casual lunch together before carpooling back to Los Gatos. This is turning into a reoccurring Docent event that is not to be missed. 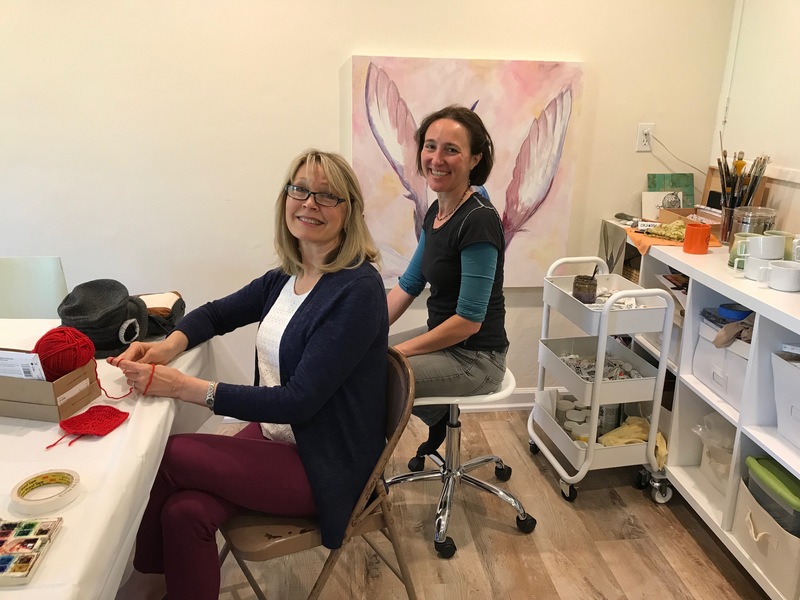 Be sure to join us next time!